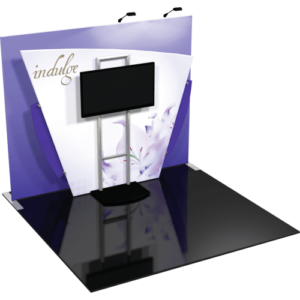 Vibe™ Kit 06 is a cleverly-designed state-of-the-art 10ft exhibit booth. 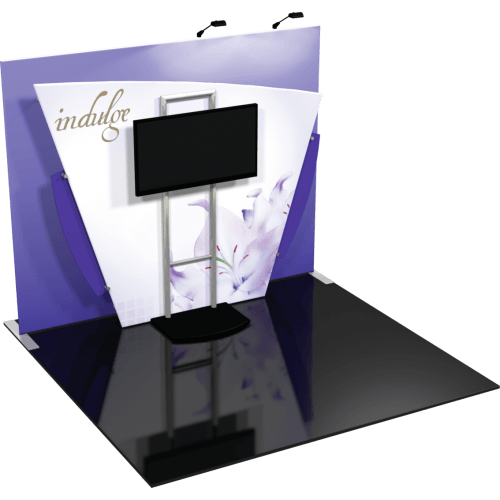 Vibe Kit 06 combines two lightweight aluminum structures with two pillowcase dye-sublimated printed fabric graphics, two accent graphics, two accent lights and a monitor kiosk for a truly unique appearance and experience. Vibe Kit 06 is efficient, easy to assemble and disassemble and offers remarkable style options and choices.